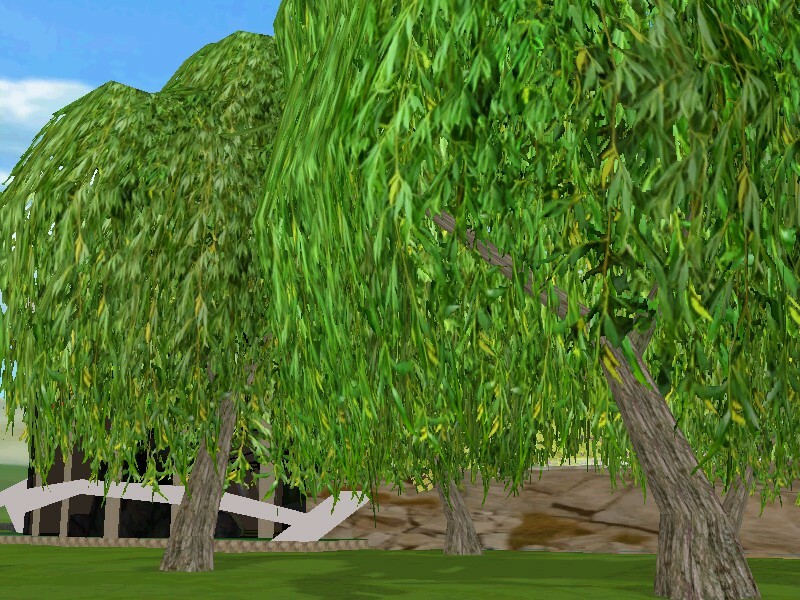 The Winter There Games Village is now home to sixteen new Lots with open hosting rights. We’ve created one for each name tag color to use as a hangout during the WTG events. 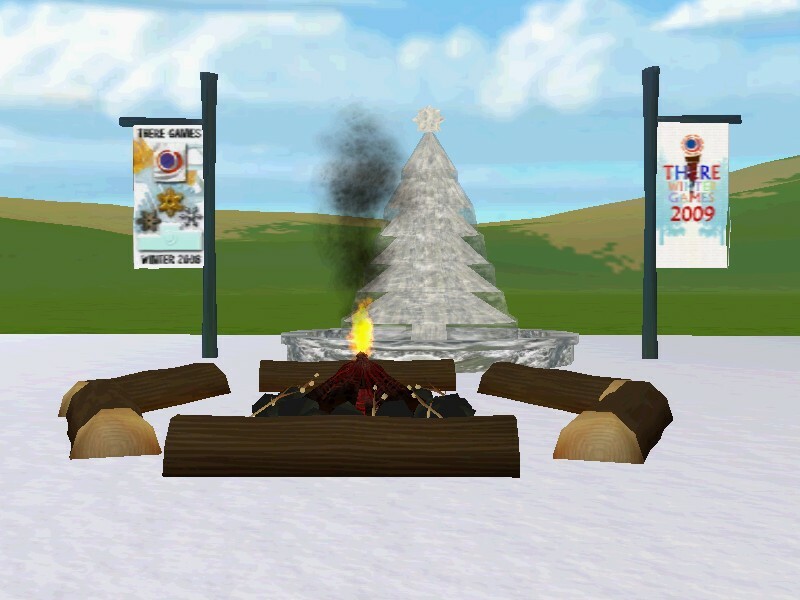 Find your name tag color at the Winter Games Welcome Center and then head out in the Village towards the Winter There Game statues. The sixteen name tag team color hangouts are dotted throughout the landscape surrounding the statues. 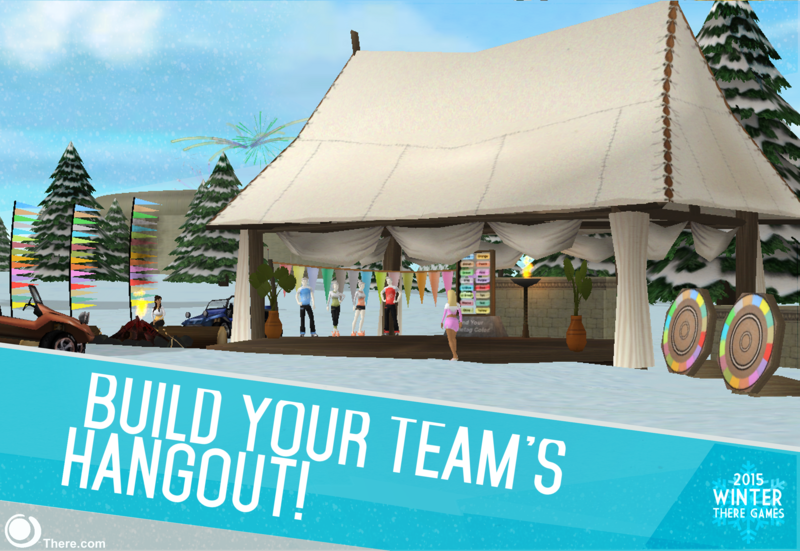 You can find a handy list of all of the color hangouts here and teleport to your team’s Lot directly. 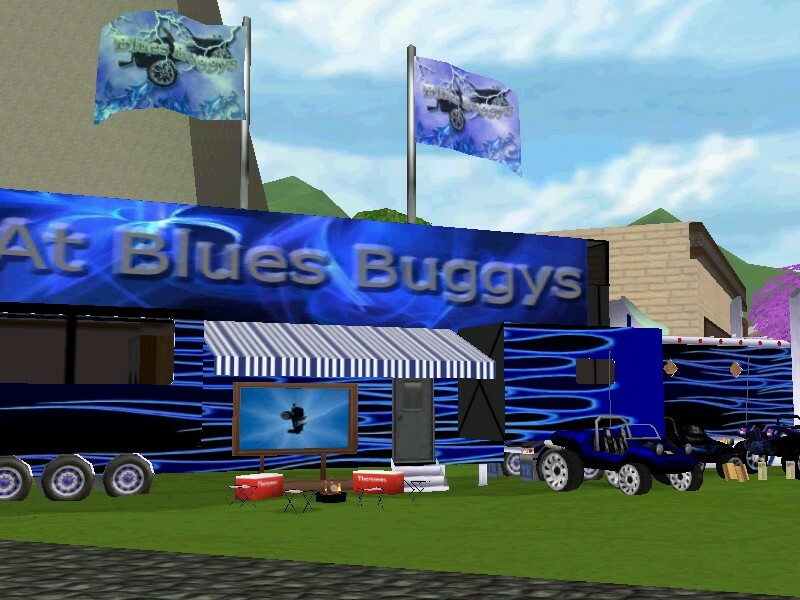 Think of the name tag color hangouts as a spot to tailgate before the big Winter There Games events start! You can plan meet and greets, parties, roundups or practice your card game skills with other teammates prior to the Games. I’ve been hearing a lot about Winter There Games. What is it? Winter There Games is a huge 10-day event series in There that runs from Thursday, February 19th – Monday, March 2nd. Everyone is invited to play in this fun and friendly competition. 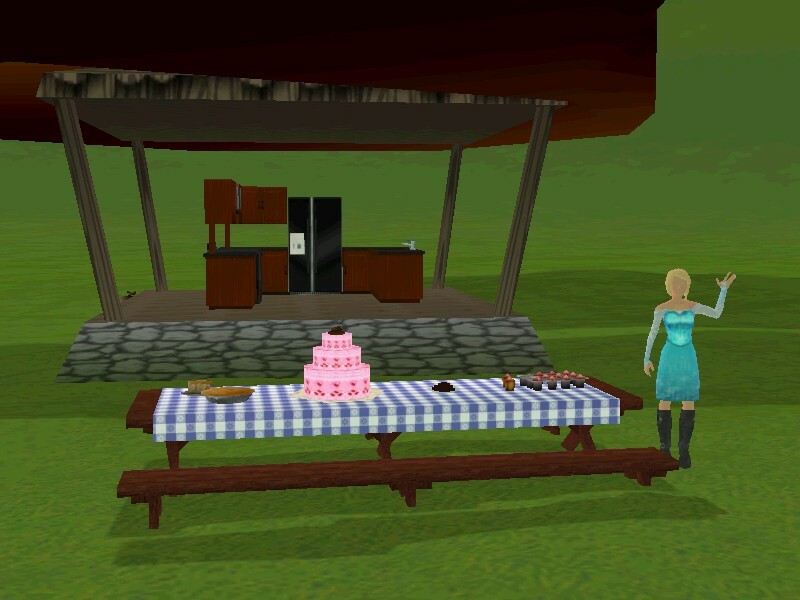 Events happen at all hours of the day and range from vehicle races to card games to quests and so much more! No matter what your interest, you’re likely to find activities to enjoy. Congratulations, you are already part of a team! We have 16 There Games teams based on the 16 avatar name tag colors. 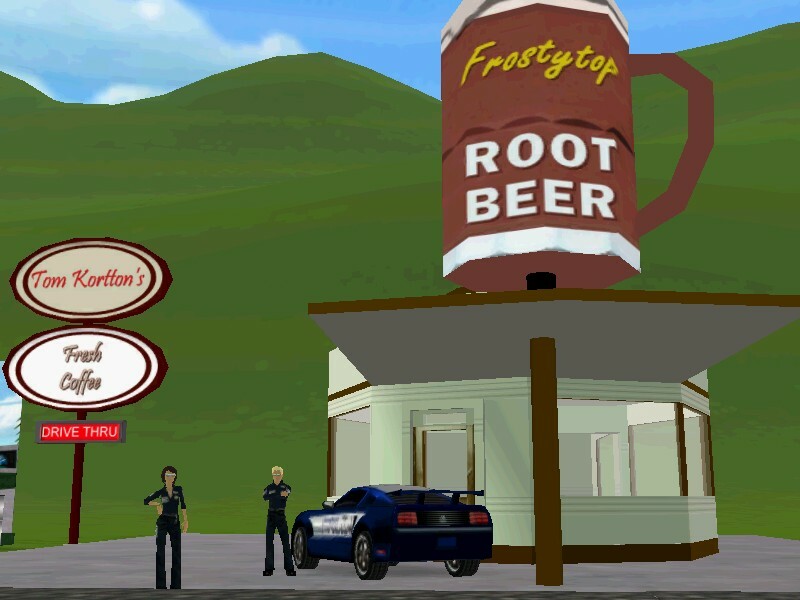 (The name tag is the colored bar over your avatar’s head where your see your name.) 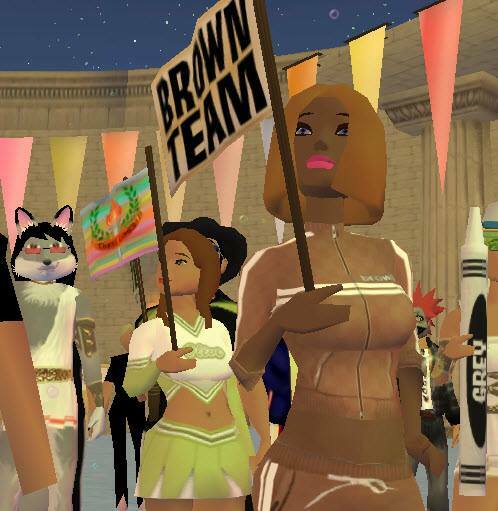 Everyone has a name tag color that is randomly generated when you join There. What if I can’t figure out what my name tag color is? If you aren’t sure what your name tag color is, it’s easy to find out. 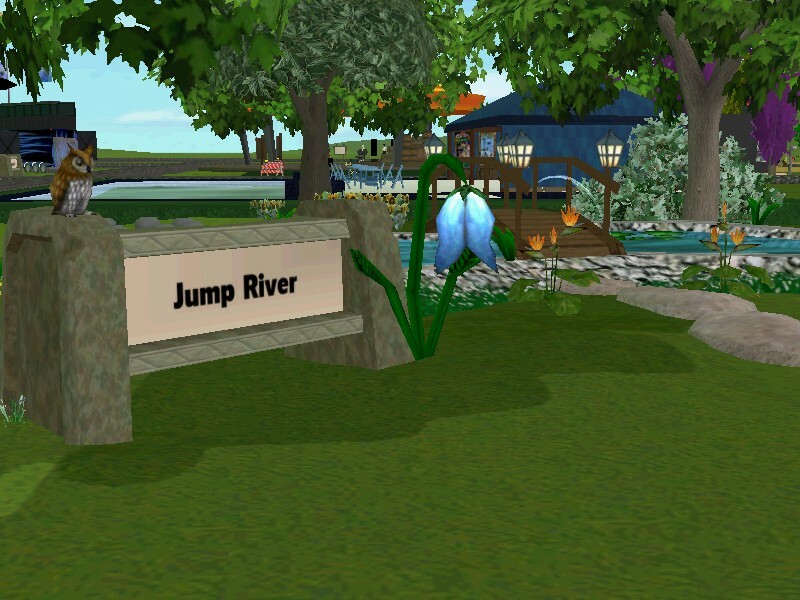 Just head over to the Winter Games Welcome Center and use one of the handy name tag signs. When you click the sign’s action tag, it will tell you what color your name tag is. Each name tag team also has a club you can join, and the sign will give you a link for that, too. Joining your team’s club is a great way to meet people, make new friends and keep up to date with what’s going on. Do I have to join my name tag team’s club to participate at There Games? No. While joining your team’s club is a great way to connect with your fellow teammates, it is not required. You can still go to There Games events and earn points for your team. The event Hosts will be able to see which team you belong to by (you guessed it!) looking at your name tag. Search for your name tag color club here. It’s very easy to participate in Winter There Games. Search the keyword “WTG” on the Activities Page to see a handy list of all the WTG events. 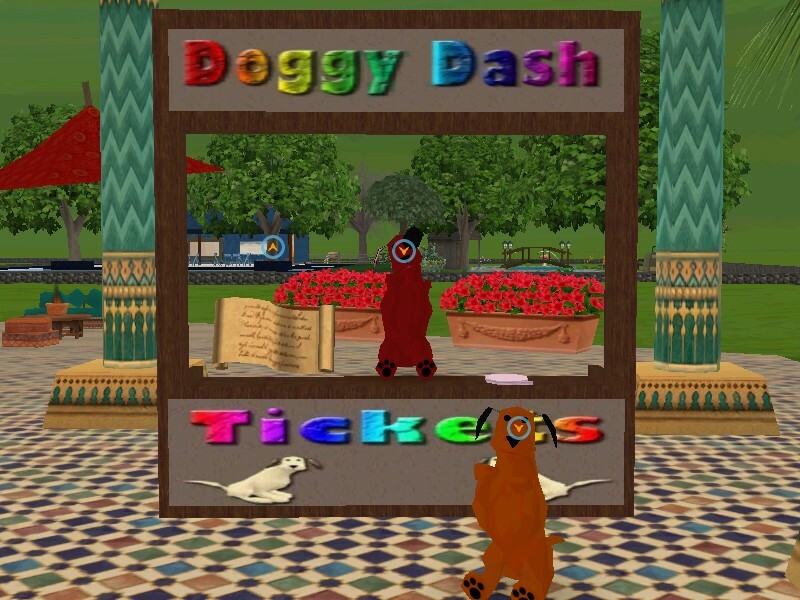 There are lots of events to choose from! Take a look and start signing up for the things that interest you. Whether you love the thrill of competition or prefer something more low key, you will find plenty of fun activities. When you attend an event that awards points, the goal is to try to earn points for your name tag team. At the end of There Games, all the points are counted up and the team with the highest overall score wins the gold medal. When you arrive at a There Games event and enter the Zone, the first thing you should do is look for a rule book. Be sure to read this so you are familiar with the rules of the event. If there is a Zone box in use, also keep an eye on this in case additional instructions are being given. Become familiar with how the event is scored and what you should strive to do in order to win a point for your name tag team. Do not go AFK (away from keyboard) in a competitive, points-awarding event.If something comes up, please step out of the Zone and free up a space for someone who is actively waiting to compete for their team. Please have patience with the event Hosts.There Games events can be very hectic with a lot of specific instructions to follow for the event to run smoothly. Keep yourself well informed by reading the rules and knowing who the Host(s) are in case you have questions. If you would like to keep track of how the WTGs are going, you can check out the official There Scoreboard at http://www.therescore.com. 2015 Winter There Games Are Right Around the Corner! Winter There Games (WTG) is a huge 10-day series of events in There that run from February 19th through March 2nd. Everyone is invited to play in this fun and friendly competition. Participants earn points for their team, and the team with the most points at the end takes home the gold medal! 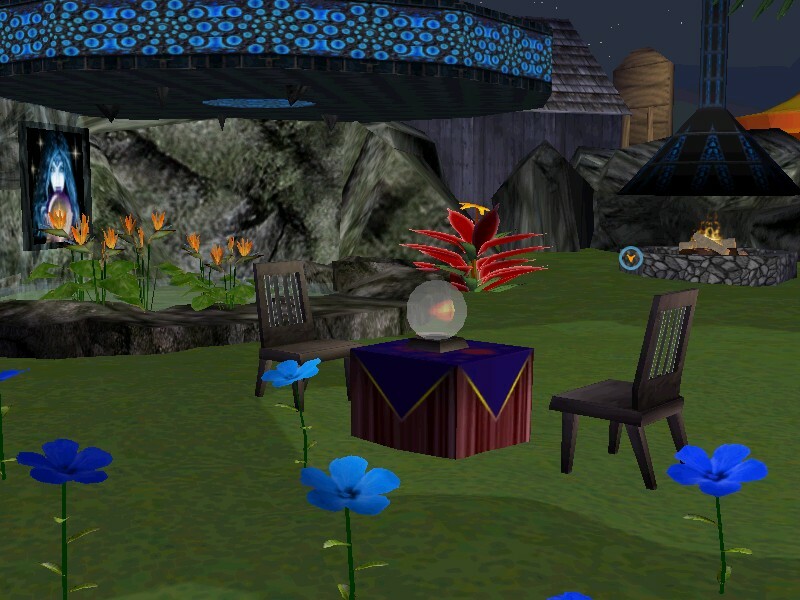 Events happen at all hours of the day and range from vehicle races to card games to quests and so much more. Whatever your interests are, you’re likely to find activities to enjoy. Keep track of the daily points your color team earns by checking the official There Games Scoreboard. You can easily find and sign up for WTG events by clicking on the “Day” listed at the top of the Scoreboard. Day 1 through Day 10 will display the different events scheduled for each day. We are still in the planning stages of the Winter There Games. You are welcome to join us on Tuesday nights for WTG Planning Meetings. 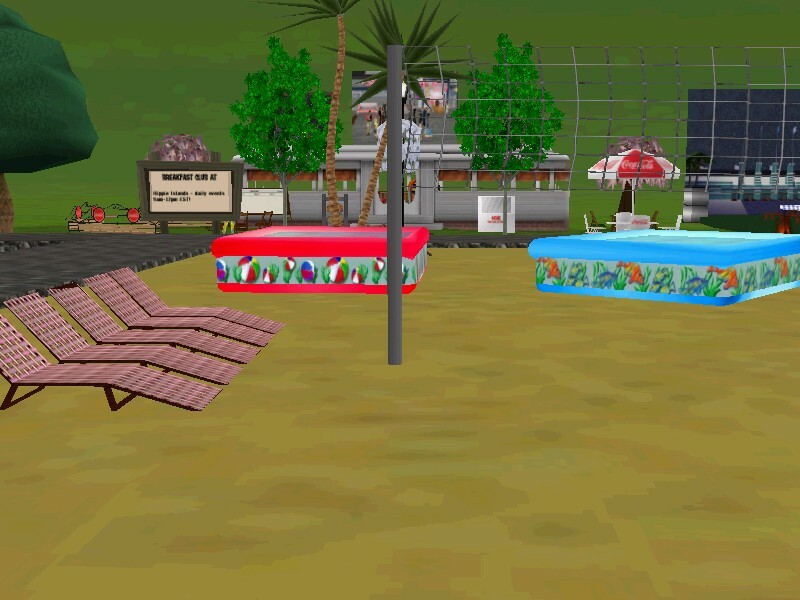 They are held at the WTG Ampitheater in the Winter There Games Village. There will be a meeting every week until the WTG start. 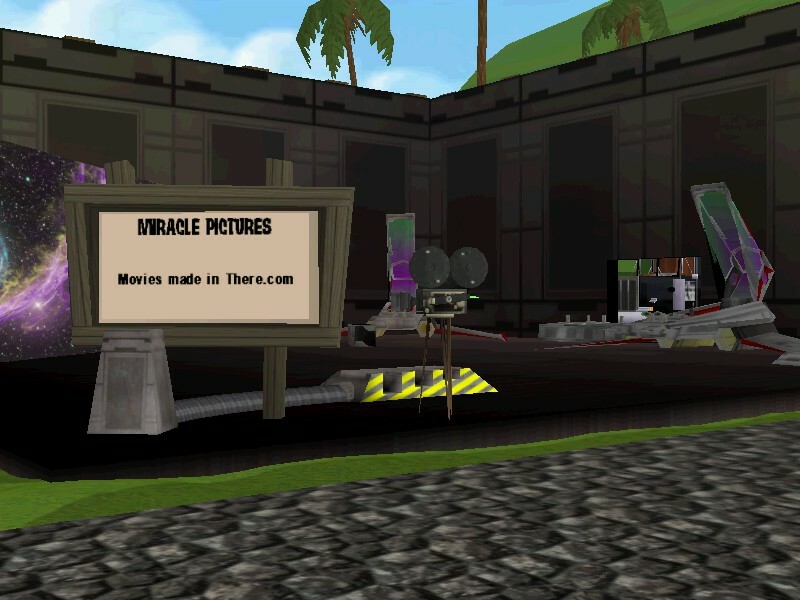 Stop by if you are interested in hosting or co-hosting a WTG event. 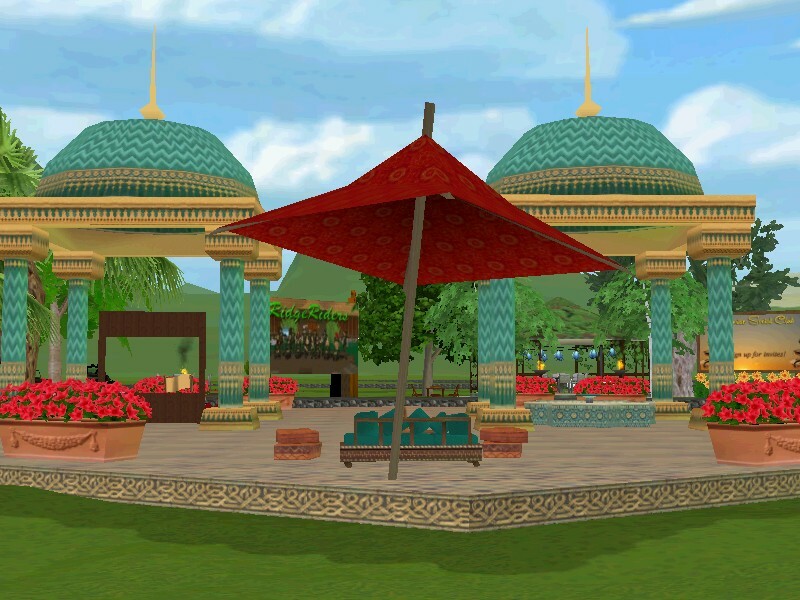 All suggestions and feedback about creating fun and fantastic WTG events for the Thereian community are welcome! 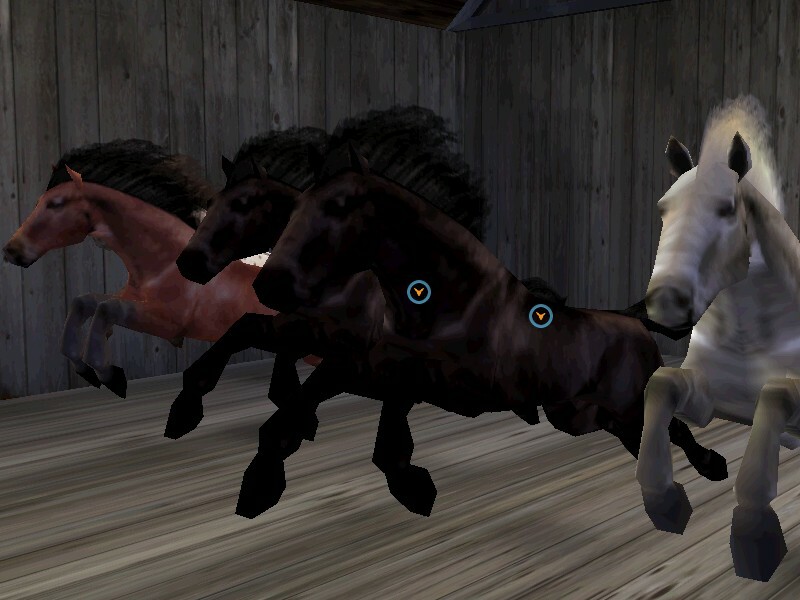 We’ve done a little housekeeping in the Winter There Games Neighborhood on Frosty. We’ve upgraded it to the new Winter There Games Village. 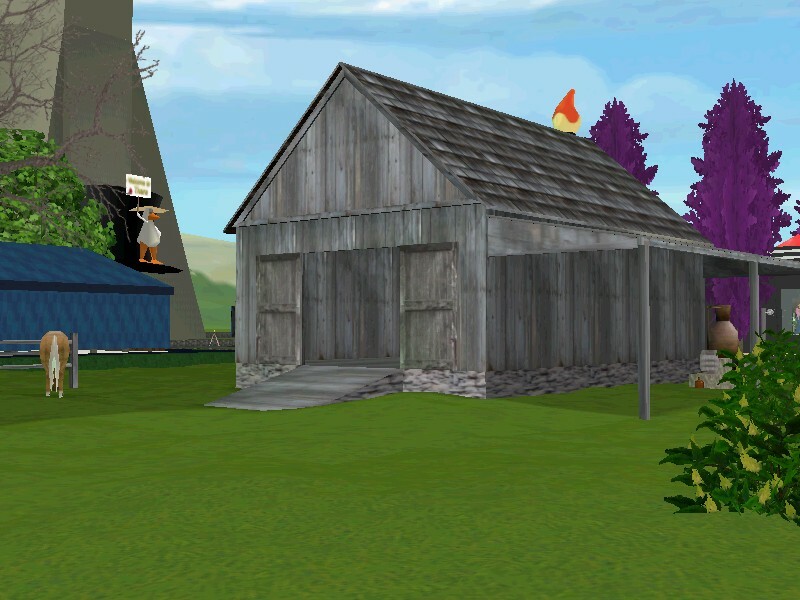 There’s several new places to explore and two of the original Winter There Games statues have been restored. Stop by and check out the new buildings in the Winter There Games Village. Keep an eye on our blog for upcoming information about contests, activities and events as we get closer to the Winter There Games. 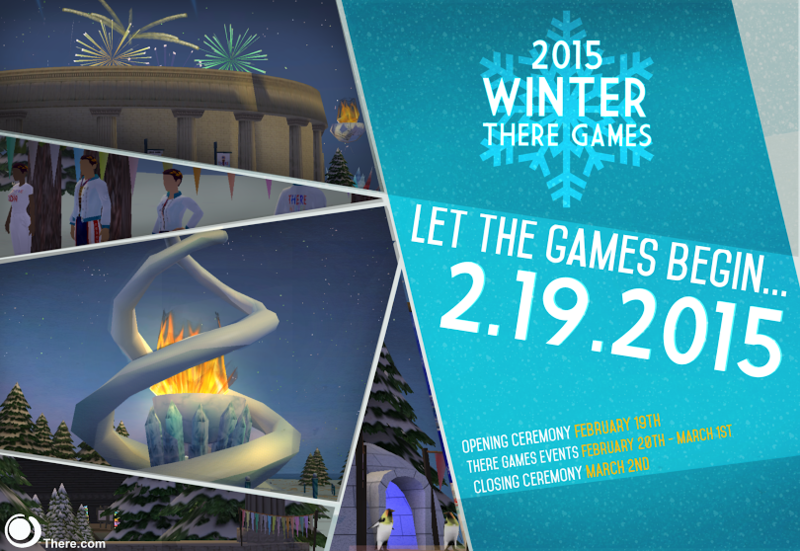 The 2015 Winter There Games Are Coming! 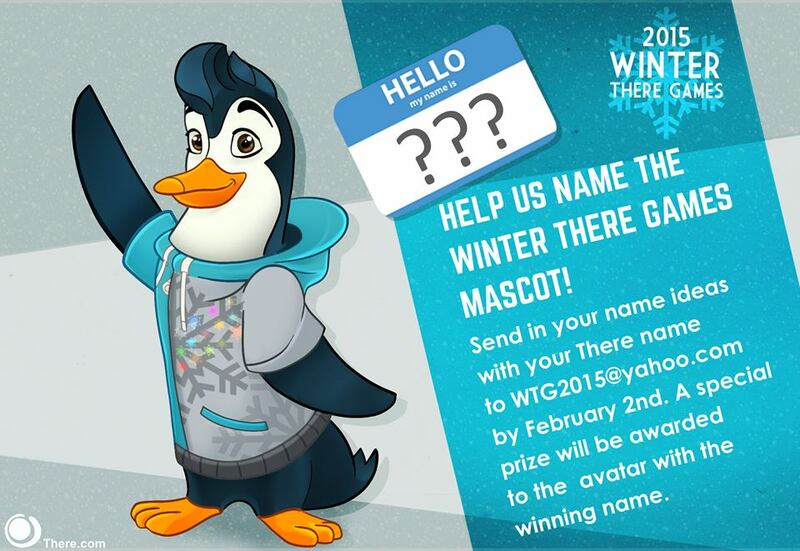 Help us name the 2015 Winter There Games penguin mascot! Email a list of mascot names to WTG2015@yahoo.com by February, 2nd. The list of names will be available for the Thereian community to vote on after the 3rd of February. A special prize will be awarded to the member with the winning mascot name! Good luck to all of our participants! It’s that time of year again! The Winter There Games are just around the corner. Are you ready to take home the gold for your team? Before each There Games we hold a logo contest to give the community a chance to show off their creativity and design skills. After the submissions are received, we invite the Thereian community to vote for their favorite There Games logo! How does the Winter There Games Logo Contest work? The deadline to submit your logo design is Monday, February 2nd at 12:00 Pacific/ 3:00 PM Eastern. Your design must include the words “Winter There Games” and “2015”. You may use the There logo. You may not use anything that may infringe upon the official Olympic logo or any other copyrighted material. Your logo design must be 512 x 256 (it can be turned in either direction, so it can also be 256 x 512). Please use the .jpg or .png format. 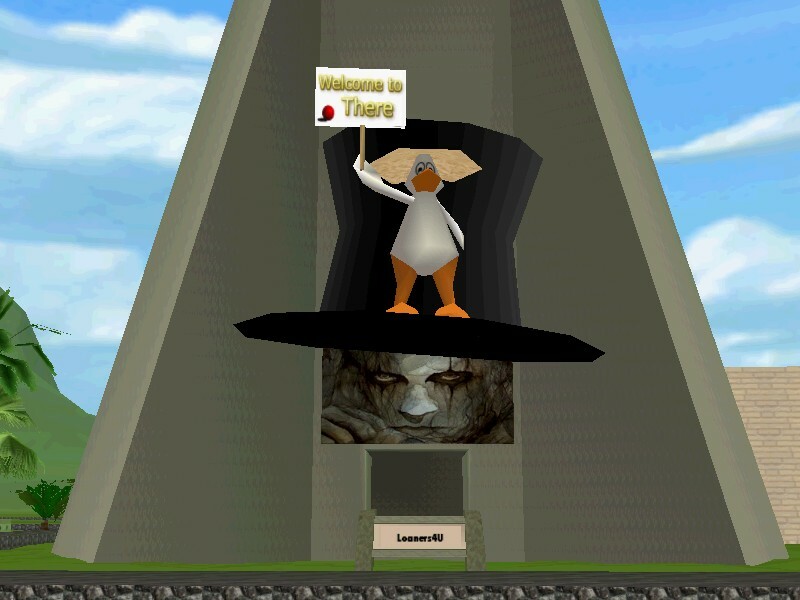 Send your .jpg or .png file to WTG.Avie@gmail.com – please include the words “There Games Logo Contest” in the subject line. All logo designs must be original work. All designs submitted will be posted anonymously for community viewing and voting. Voting will take place February 3rd – 6th. The design that receives the most votes will become the official logo of the Winter There Games 2015. The logo will be displayed on a special Winter There Games poster to be available for purchase during the 2015 Winter There Games only. Everyone is welcome to submit their design! Good luck and thank you for your participation in making the 2015 Winter There Games a special event! Looking to meet people and make new friends? There are all kinds of teams, leagues, Neighborhood groups and social clubs in There for you to join! Get a flavor for the types of clubs in There at the Club Fair going on now at the There Fairgrounds. There are over thirty clubs on display! 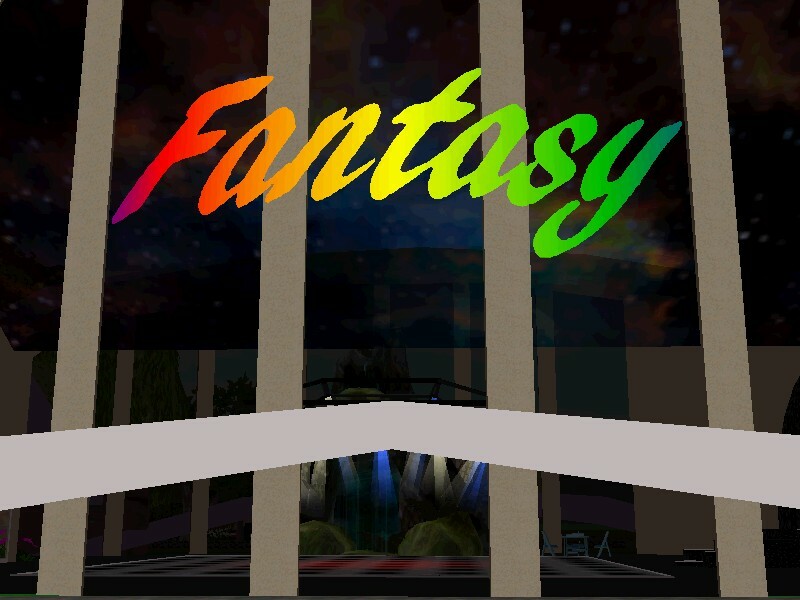 Interested in joining a club in a virtual world? Create your very own avatar here. 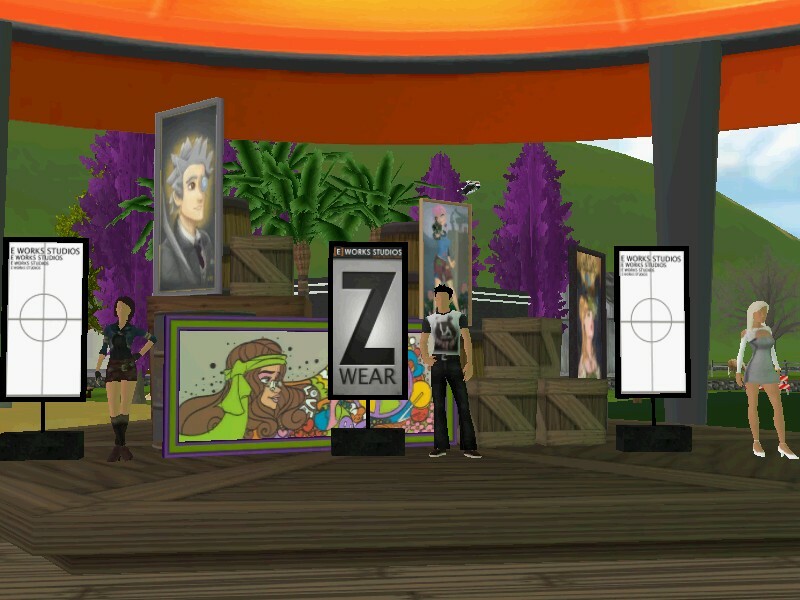 Once you’re logged onto There, teleport over to the Club Fair at the There Fairgrounds. 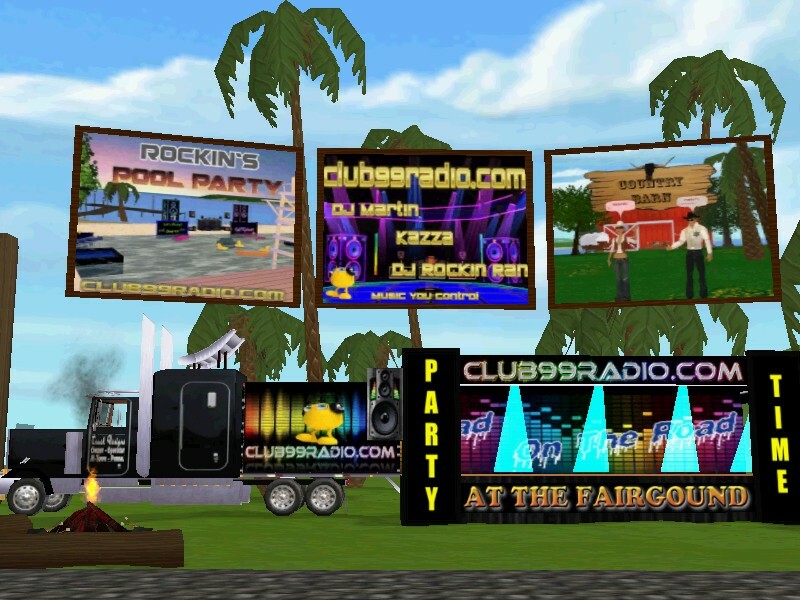 Travel the walkways around the Fairgrounds and visit the different types of clubs There has to offer. You’ll find signs, brochures and information on each club. 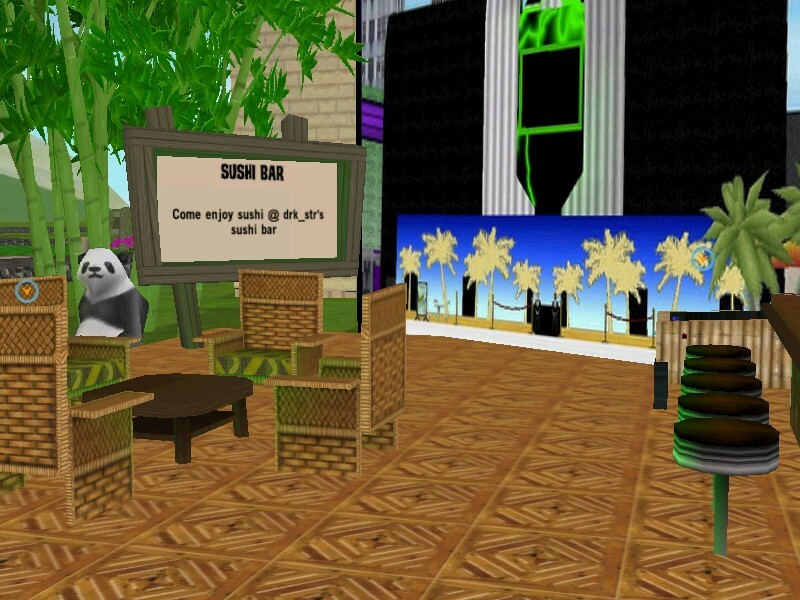 Check the club booths for upcoming events where you can meet and interact with other club members. Here’s a list of clubs on display at the Club Fair going on until January 17th. 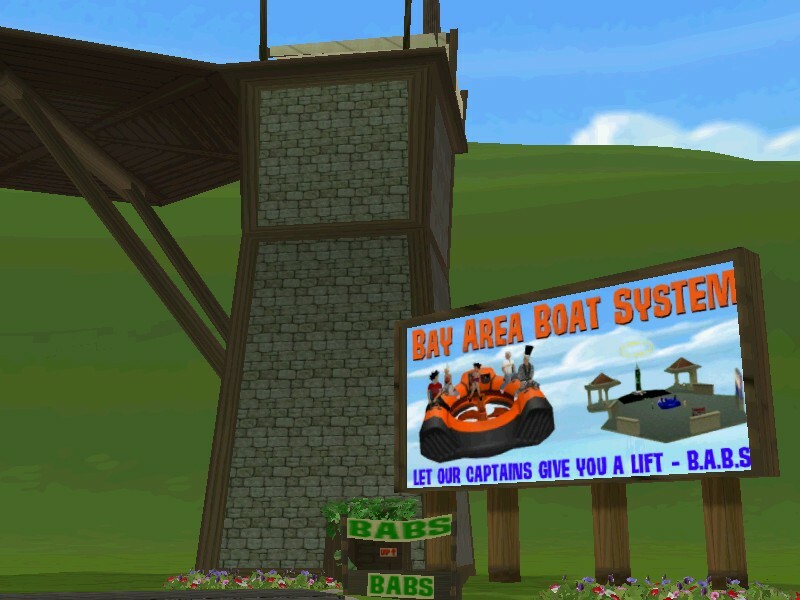 The Bay Area Boat System Club aka B.A.B.S. Want a booth at the Club Fair to advertise your own club in There? 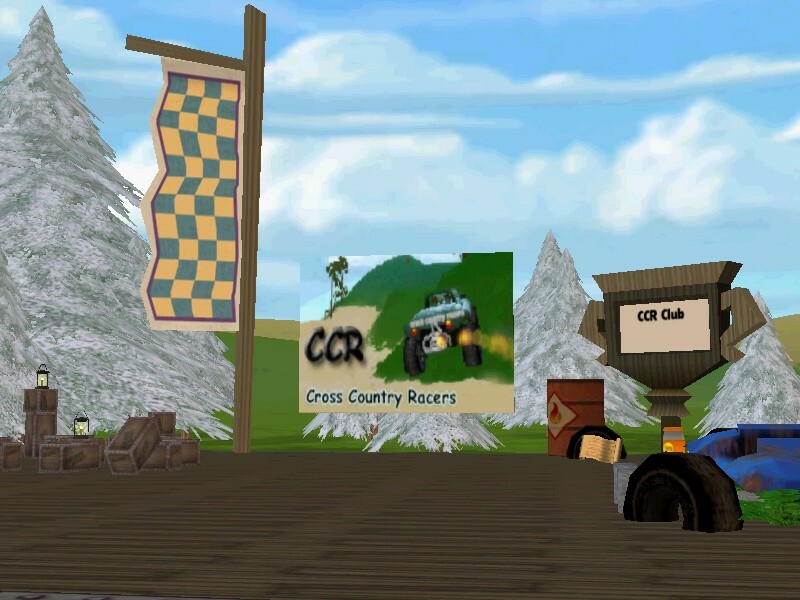 Join the There Fairgrounds Development Group. Pick one of the booths (Lots) available for rent and decorate it to give members a feel for what your club is all about. Don’t forget to drop a brochure, so that it’s easy for potential members to grab the link to your club. Soon we’re going to be introducing a new, even easier way to try There! They’re called “Silent Trials”, and they’re designed to let people easily sign up and experience There, with a few limitations. The good news is that it’s free, you don’t need a PayPal or Stripe account, and your trial can last forever, if you wish. It’s called a “Silent Trial” because while you’re free to explore the world, ride buggies, play paintball, and to use text chat, or IMs to communicate with Helpers or Island Guides, you won’t be allowed to communicate with anyone else without moving up to a subscription of some sort. Looking for something fun and exciting to do over the weekend? 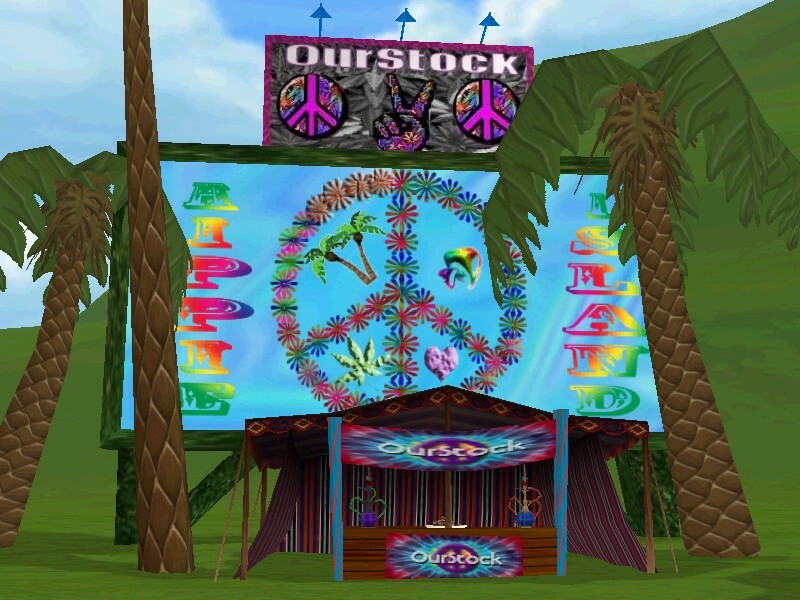 Join our virtual world There.com and make new friends and memories! Each month we host a Free There Weekend where old and new members are welcome to join and participate in events and activities for absolutely FREE. Share the good news with friends! FTW starts on Friday, January 9th at 6:00 PM PT. 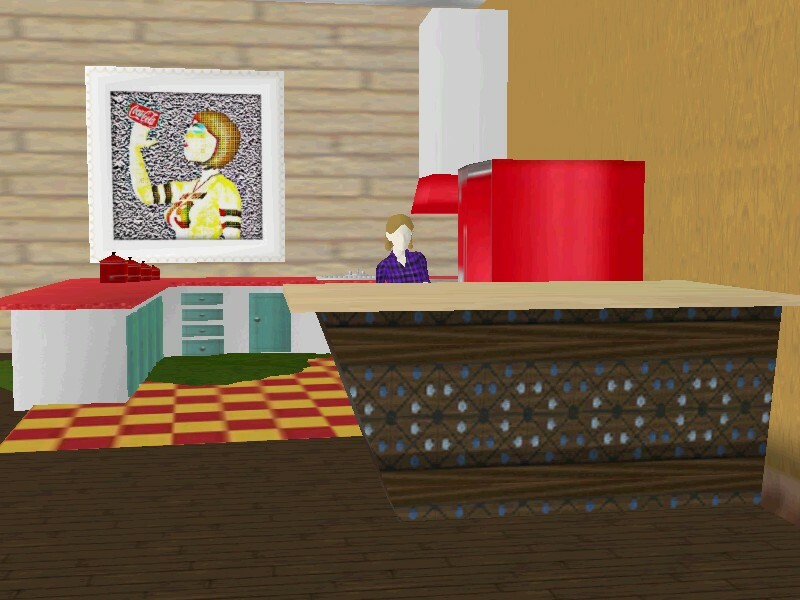 All you need to do is log on to www.there.com and create and customize your own avatar. 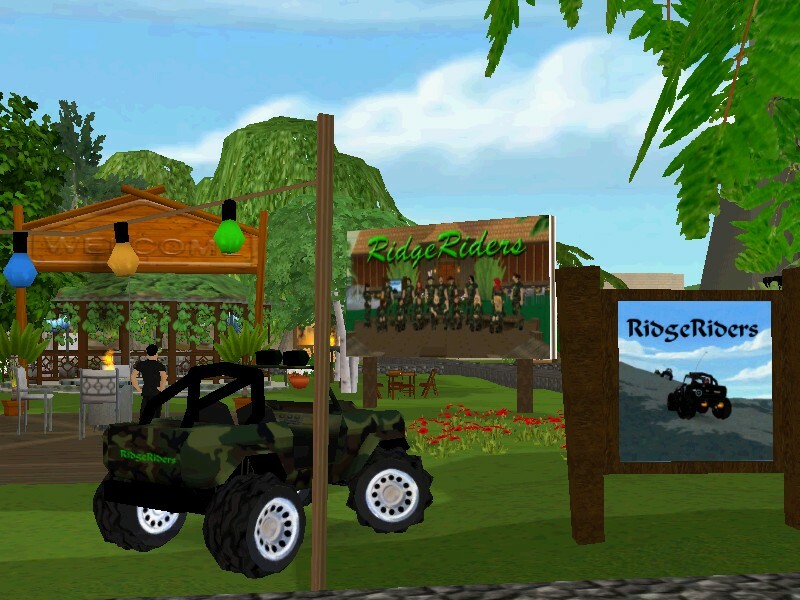 Search for exotic locations to explore on the Places Page, find out what fun and friendly events are happening on the Activities Page and shop for unique clothing and accessories for your avatar in the Auctions. 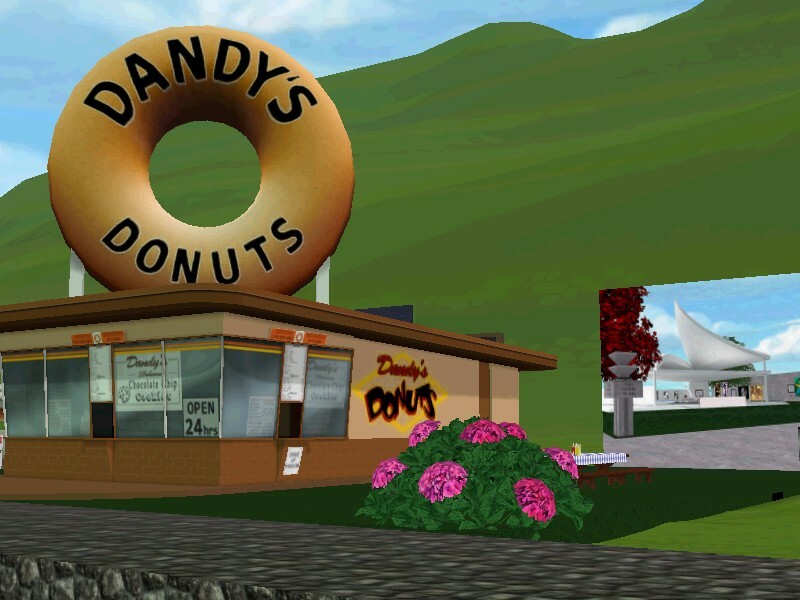 There’s plenty to do while you are visiting our virtual world. 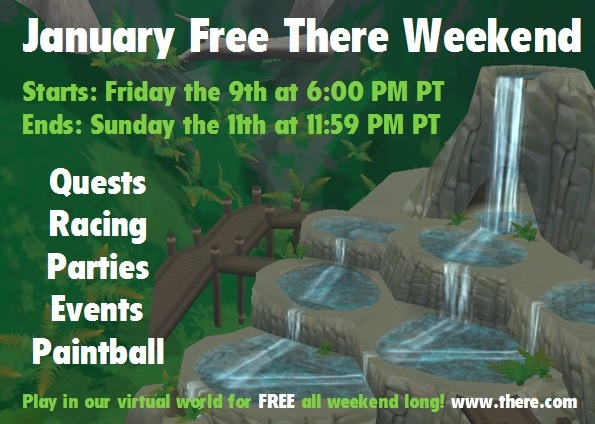 Free There Weekend wraps up at 11:59 PM PT on Sunday, January 11th. We’re looking forward to seeing you There! There Winter Games 2015 Planning Meeting Tonight! There are two back to back meetings in There tonight that you won’t want to miss if you are an event host or a new member who is interested in getting involved in planning activities for the Thereian community! 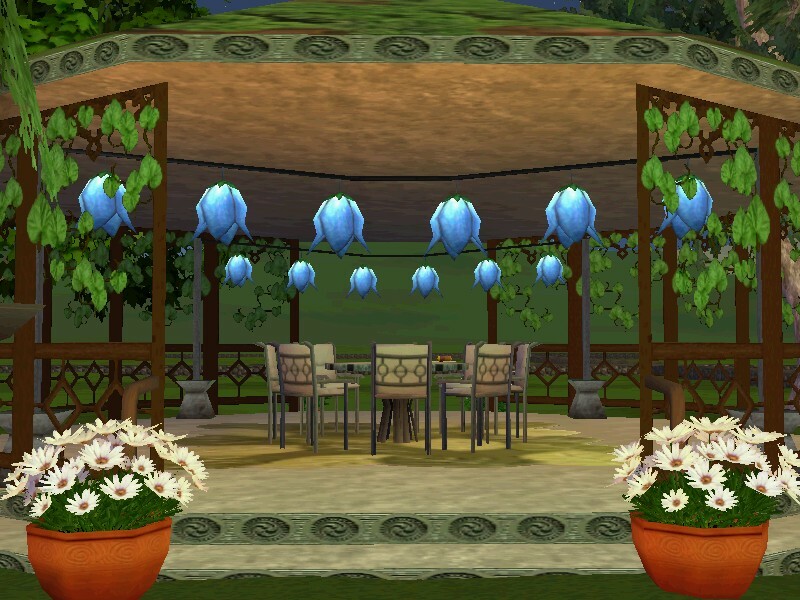 The Themed Events Meeting hosted by EmmaJean will be held at Susan’s Place starting at 6:30 PM PT. Join the conversation and contribute new event ideas for seasonal, holiday and monthly themes. Some of the best events and activities in There are scheduled during the There Games! The Winter There Games are coming up soon and this will be the first meeting to discuss planning details and event ideas. Everyone is welcome to attend and share their ideas. You can catch the There Winter Games 2015 Planning Meeting at 7:00 PM PT.